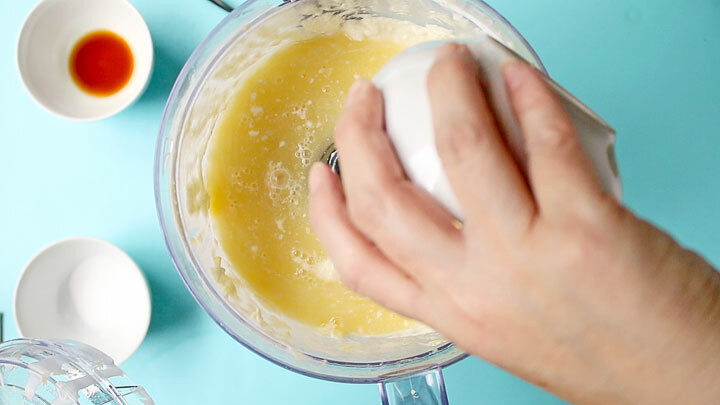 Have you ever made a Copycat Dole Whip? They’re delicious! I’ve always loved pineapples and when it’s in a cold ice cream form it’s even better. 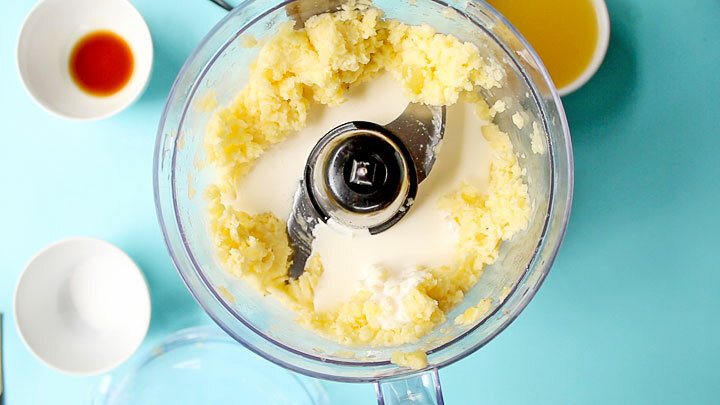 If you have a food processor or a blender this will be an easy treat to make. Let’s do it! Pineapple- You can use frozen or a fresh pineapple. I personally think the fresh pineapple has a lot more flavor, but use whatever you want. 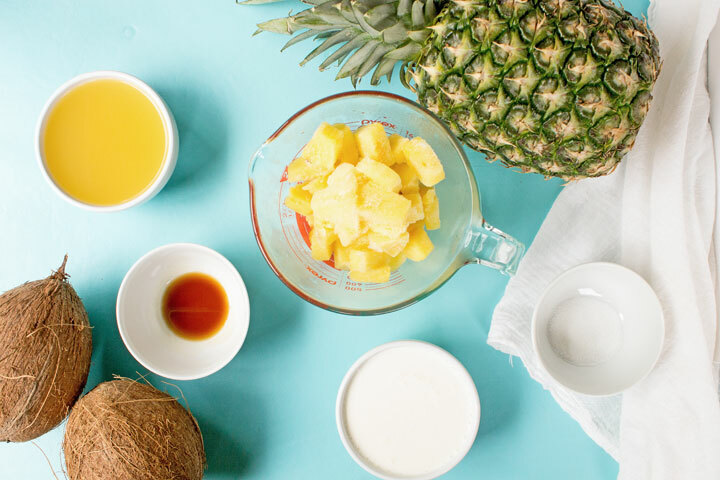 You don’t have to go to Disney to enjoy a refreshing pineapple treat. 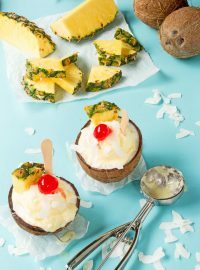 Here is a copycat Dole Whip recipe you can make at home. 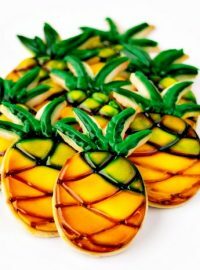 2 1⁄2 cups Pineapple- You can use frozen or a fresh pineapple. I personally think the fresh pineapple has a lot more flavor, but use whatever you want. 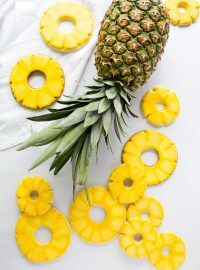 Peel the pineapple and cut it into small bite-sized pieces and place it in the freezer and freeze solid. 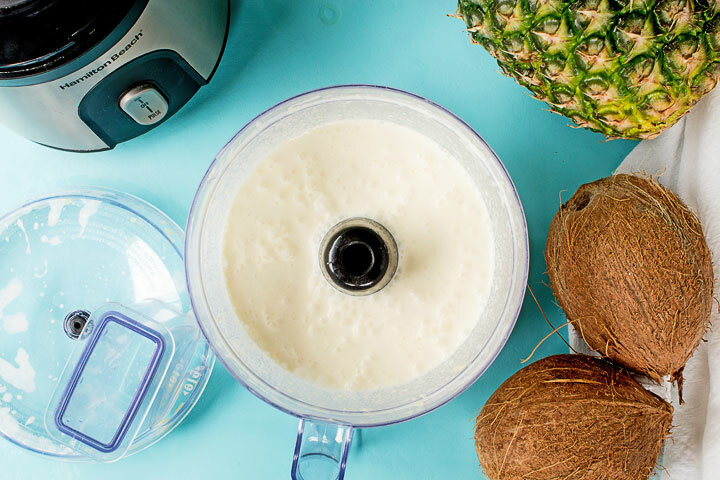 Place the pineapple in a food processor and blend until you get small pieces. Add the heavy whipping cream, pineapple juice, salt, and vanilla. Blend into combined. Place it in a Ziploc freezer bag. Freeze for about an hour or an hour and a half. Place it in a cute bowl and serve immediately. 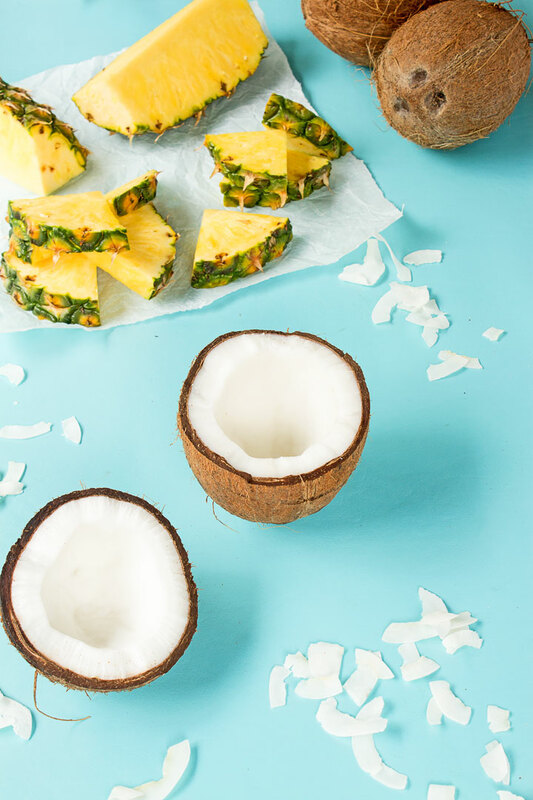 Begin by cutting a fresh pineapple into bite-sized pieces. Place it in a freezer bag and freeze it until the pineapple is completely frozen. 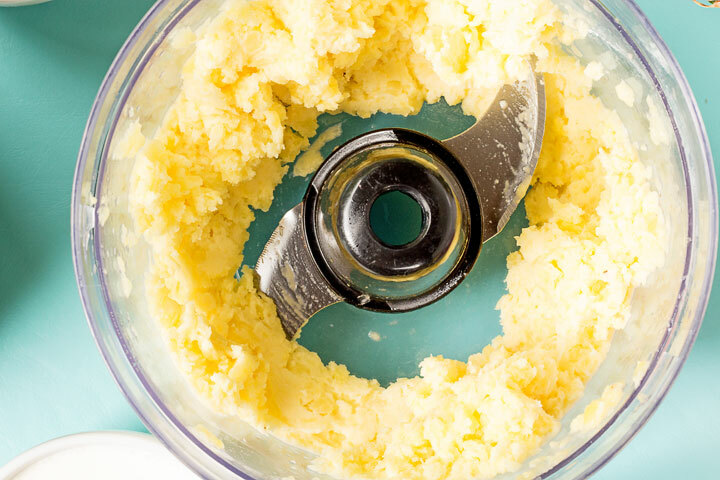 Remove the pineapple from the freezer and place it in a food processor until it’s a consistency you like. 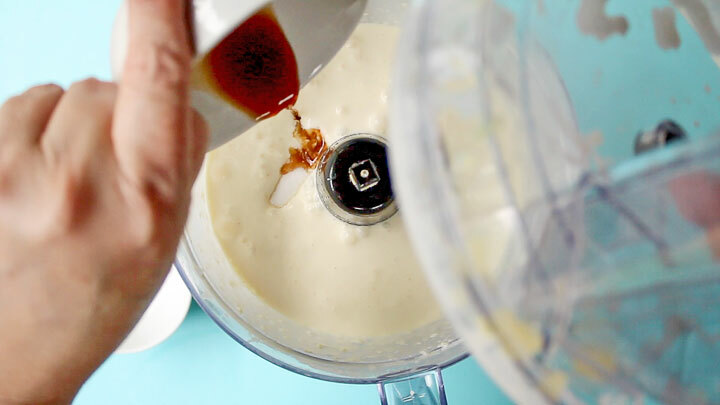 Add the heavy whipping cream to the pineapple and mix until blended. Add the pineapple juice and mix. Add the vanilla extract and the sugar and blend well. Place the mixture in a freezer bag and freeze for an hour or an hour and a half. 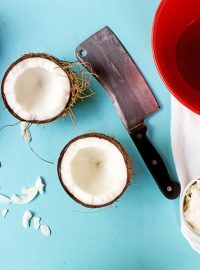 Place the pineapple in a fun bowl like this How to Make a Coconut Bowl and serve them immediately. 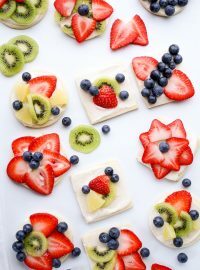 They are so good I want to make them every day and share them with my friends. Doesn’t that frozen pineapple look delicious! 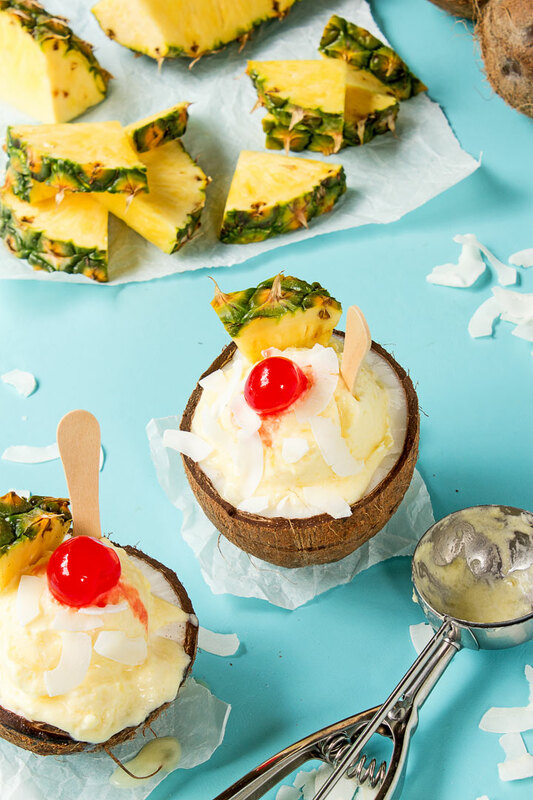 There’s nothing like a refreshing cold pineapple Copycat Dole Whip to help you know that summer has arrived and you’re ready to enjoy all the treats from Disney from home. Making them is almost as fun as eating them, almost. 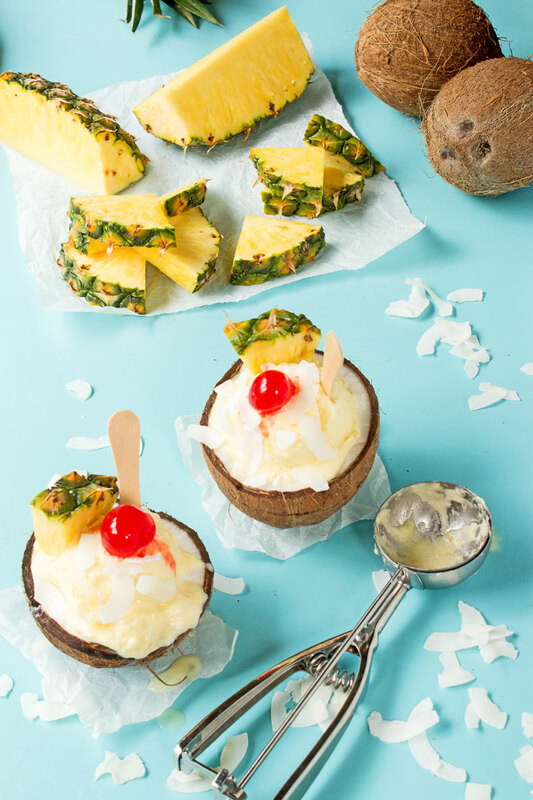 Isn’t a Copycat Dole Whip served in a coconut bowl the best? I hope y’all enjoy your summer and all the frozen treats that go with it. Now go eat a pineapple! Did you add sugar or salt? And if you add salt why? You’re so right! I meant to type the word sugar, but instead, I typed salt! I’m so sorry! 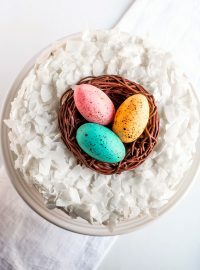 I fixed it in the recipe and the post! Thank you so much for telling me. You’re the best!